Hoping to capitalize on people's obsessive use of Twitter, Euro RSCG Amsterdam along with Perfect Fools has launched a Twitter race to promote the new Citroen DS5. 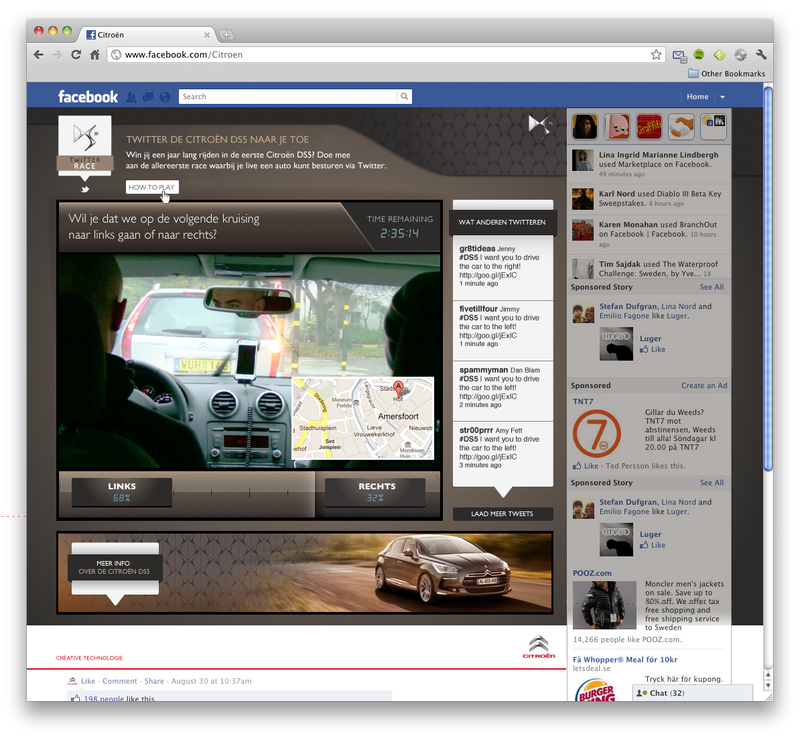 Beginning November 17, Twitter users will have a chance to win their own Citroen DS5 by directing the car's drivers. The most prolific tweets will encourage the driver, Dutch TV and radio presenter and car enthusiast, Froukje de Both, to travel to the tweeter's locale. At the end of the "race," which is timed and can be monitored on a Facebook page, the driver will stop, hold up a sign with the most recent Twitter message and the first person who sees it and tweets back wins the car.